For lease shoppers we recommend the S550, although if you plan to buy and hold on for the long term, the S350 BlueTEC would be the logical and beneficial pick. Covering its wide range of performance personalities, all with superb comfort and some of the world's top in-car tech, the 2013 Mercedes-Benz S Class is one model you'll be as happy to be in as to be seen in. What shoppers want in a luxury flagship is actually quite different depending on whether they're merely affluent, very wealthy, or among the business elite--or whether they're looking to arrive in high style, make a green statement, or keep their luxury quite understated. The 2013 S Class lineup reflects that silver-spoon reality and has models for all of those image needs and luxury expectations, and packs it all with some of the top safety and in-car technology in the world. Ranging from the efficiency of the S350 BlueTEC 4MATIC diesel sedan, or the new S400 Hybrid, to the ultraluxury performance of the $211,000-plus S65 AMG, the S-Class does encompass the one-percents seemingly in every way it can. Although a redesign is still imminent--due next model year--the S Class carries into 2013 with seven different models, all with a different powertrain. And while the details are different between models, they share the familiar S Class shape that's been offered since the 2007 model year. It's one of the softest, most organic designs among large luxury sedans, although it's not nearly as sedate as that of the Lexus LS. And the living-room look inside does well in maintaining a relaxed feel--enhanced by the wide swath of beautiful wood trim. 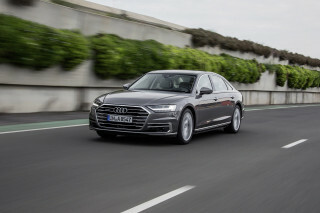 Of all the distinct models that make up the S Class family, and the two most affordable have green appeal: there's the S400 Hybrid, which blends batteries, motors, and V-6 power for seven-second acceleration to 60 mph and 25-mpg highway fuel economy, though powertrain integration just isn't as smooth as the superior S350 BlueTEC turbodiesel, which rates 31 mpg highway, and offers about the same acceleration, though it has standard all-wheel drive. With rear- or all-wheel drive, S 550 models have a 429-horsepower, 4.6-liter V-8 and a seven-speed automatic transmission, with real-world gas mileage nearly as good as the Hybrid's, in our experience. 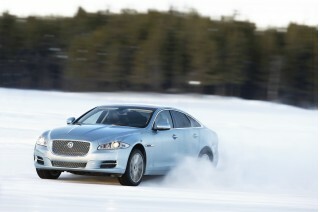 Ride and handling in these models rival anything in this class, except for the nimble-feeling XJ. 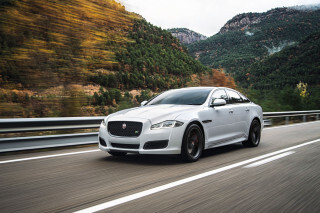 that rival anything in the class save for the very small-driving Jaguar XJ. At the top of the range are the V-12 S 600, with 518 hp; the twin-turbo V-12 S 65 AMG, good for a 0-60 mph time of 4.2 seconds; and the S 63 AMG, just a tick slower, and outfitted with a twin-turbo, 5.5-liter V-8 with up to 560 horsepower and stop-start technology that keeps gas mileage as high as 21 mpg highway. Interior packaging is pretty much the same regardless of which model you choose: supremely accommodating, with superb front seats, a spacious, well-designed cabin, and easy access for those in back. All U.S. S Class models are long-wheelbase versions, so even when you have the front seats back all the way, there's still enough back-seat legroom. Doors are long and open wide, so it feels limo-like. And ride quality is absorbent without ever feeling floaty, whether you get the active suspension system or the base air suspension. And to make the cabin feel special, and worthy of the price, the S Class interior incorporates some impressive technology to aid the driving experience and improve comfort, but not distract. Active Body Control helps keep the ride composed, while items like multicontour seats help hold you in place and in comfort. COMAND, an interface that's still a bit involved and distracting, is the only exception. The 2013 S Class offers all the traditional luxury and comfort features, plus modern tech extras, with highlights including a heated steering wheel; a panoramic sunroof; and a power rear sunshade. A sunroof is standard, along with a power tilt/telescope steering wheel; 14-way power heated front seats; and leather upholstery; S 400 Hybrid models have nearly as much, minus only the automatic high beams and front-seat ventilation. Even the S 550 has a wood and leather steering wheel; active ventilated and heated front seats; new wheels; ambient lighting and a power trunk lid. And this year, Mercedes-Benz has included active multi-contour front seats, Keyless Go, parking guidance, and a rearview camera in all S Class models. The S Class has aged gracefully against a peer group of more recently redesigned luxury sedans. Although a redesign is imminent, the S Class carries into 2013 essentially unchanged, from a design standpoint. New in 2007, the current S Class has never been seen as particularly edgy. A blend of some precisely drawn lines and emphatic curves, it was initially seen as a major departure from the bank-vault lines of the S Class of the 1990s, and the svelte, feminine S Class of the late 1990s and early 2000s. Yet after some years on the market, it seems to have settled much closer to its predecessors in appearance--perhaps the indication of a design ahead of its time. While the details are different between S Class models, they all share the familiar S Class shape. The S Class' sheetmetal isn't entirely cohesive, but it conveys great road presence, especially from the rear quarters, where the perfectly blistered fenders intersect with a rising bumper line. The tautness of the lines around the fenders has kept it fresh, and the interesting compound lines that collect at the rear quarters were the first taste of the dynamic look that now has erupted across the lineup--most successfully, we think, on the CLS Class. Crawl around the interior, and you probably won't find it surprising that furniture designers were brought in to help style the interior. A simplified, 'living room' aesthetic makes those inside the S-Class feel at home, with a relaxed, horizontal dash layout and wide, ornately grained wave of wood bridging the cabin. It's capped by a large LCD screen for secondary controls, and adorned by a minimum of buttons and switches; gauges are lit in bright white. The shift lever is on the steering column to save space and clutter. Ranging from staggering AMG performance to frugal diesel and hybrid powertrains, expectations will be met in the 2013 S Class. There are six different engines and a total of seven different powertrain combinations in the 2013 Mercedes-Benz S Class--two with V-12 engines, two with V-8s, one hybrid model, and one turbodiesel. And S 550 models come with a choice of rear-wheel drive or 4Matic all-wheel drive, while 4Matic is mandatory with the diesel. While the S 550 models aren't the most fuel-efficient or affordable, they're bound to be the most popular models in the S Class lineup. 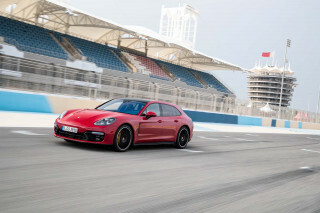 Last year they were replaced by a new 429-horsepower, 4.6-liter, twin-turbo V-8, and a seven-speed automatic that helps fuel economy greatly; it's rated at either 15/25 mpg with rear-wheel drive, or 24 mpg highway with the added traction. We've found this powertrain to be a real-world joy, with even better fuel economy, plenty of power on reserve, and just a little turbo whistle. Those seeking greener pastures will want to go with either the BlueTec diesel or the S 400 Hybrid. The S Class mileage leader is the S 350 BlueTEC 4MATIC, equipped with a 3.0-liter turbodiesel with 240 horsepower and 455 pound-feet of torque. It's EPA-rated at 21/31 mpg yet includes all of the features and complexity you'll find in the rest of the S-Class lineup. Performance is competitive with the hybrid--0-60 mph times of about 7.5 seconds are possible--and on the move, the diesel drivetrain's very refined. On the other hand, the S 400 Hybrid is EPA-rated at 19/25 mpg, with respectable acceleration from the union of a lithium-ion battery pack with 20-hp-equivalent electric motors, a 275-hp V-6 gas engine, and a seven-speed automatic. At low speeds it can run on electric power alone, and it uses stop-start technology; but we've found that this powertrain simply isn't quite as smooth and seamless as other luxury hybrids or as the other S Class choices. 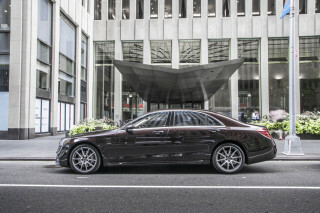 The better-performing rear-drive S600 is the pick for those wanting something more exclusive. 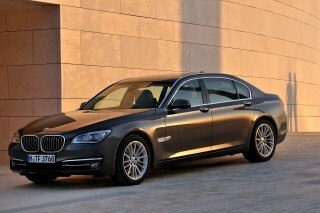 Its 510-hp twin-turbo V-12, its 0-60 mph time of 4.5 seconds, and its peaceful whir during any sort of ordinary commuting. The V-12's automatic has manual-shift programming and the engine is so torquey that it hardly needs to be worried with shifting, but its transmission has only five gears instead of seven. Top spots in the S Class lineup are held by the AMG models, which offer an exotic-car level of performance (and exclusivity), but with practicality that's on par with other S Class models. With a twin-turbo 5.5-liter V-8 worth 536 hp (or 560 hp with a Performance Package), and a 0-60 mph time of 4.4 seconds (or 4.3 seconds), the S 63 AMG is probably the top pick for those craving performance. But for even more, there's the S65 AMG, which throttles the turbo V-12 to a stupendous 604 hp, twisting out a 4.3-second time from 0-60 mph, and hurtling on to a limited top end of 186 mph. The S 63 uses an AMG SpeedShift version of the seven-speed automatic, while the S65 gets the five-speed automatic. 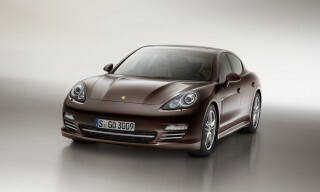 You also get three shift modes (Comfort, Sport and Manual) for near-total control of power changes. These AMG cars are more different than ever at high speed and on a twisty road because AMG has reworked the electronics for the Active Body Control and employed a torque-vectoring system for quicker turn-in and a more confident corner exit. And the greens have won a victory here, at least on the S 63: stop-start technology means up to 23 mpg highway, which means the sedan no longer is subject to the gas-guzzler tax. Both of the mid-range cars, the S550 and S600, are connected cars, with good handling and electronic controls that can filter off the worst offenses the highway can offer up. The S-Class has a very absorbent, well-settled ride that manages to soak up small potholes with little jarring inside the cabin, while remaining remarkably quiet. Steering feel and weighting tends to be a little disappointing in the S550, which has electric power steering, however. The S Class models combine an opulent interior, in the traditional sense, with modern luxury conveniences, like seats that massage. 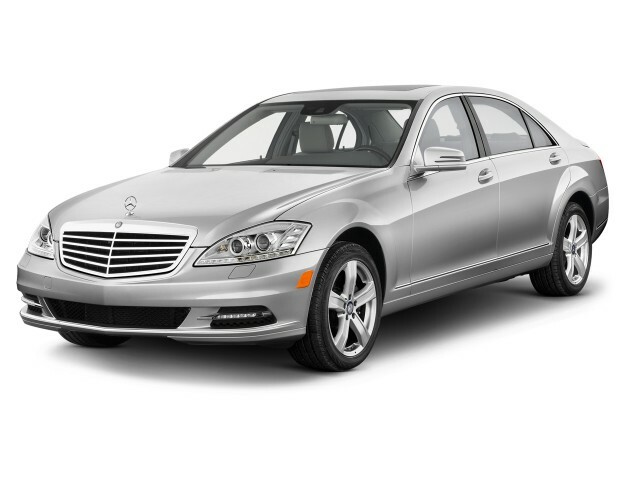 It's almost impossible to fault the 2013 Mercedes-Benz S Class for comfort. Since all S Class sedans sold in the U.S. are long-wheelbase cars, they're all essentially alike, at least in terms of interior and cargo space. Across the lineup, that means spacious accommodations, superb front seats, easy access for those in back, and top-drawer fit and finish, with some fiddly ergonomics to muddle through. The standard 16-way, power-adjusting seats, with active multi-contour functions now for 2013, are superb. The active feature includes air pockets that fill and empty according to cornering forces built up by the car, and though it sounds gimmicky at first, they truly feel useful and comfortable when the S Class speeds up to a full hustle. Reaction times are quick enough to keep up with even the very fast AMG editions. The seats themselves are firmly padded, and wide enough to suit almost any frame; leather upholstery is standard on all models, even the vegan-trending diesel and hybrid versions. The long-wheelbase S Class body guarantees plenty of front and rear-seat leg room, even with the front seats powered all the way back. The rear doors are cut widely, for easy access and limousine-like space, and the seats themselves are sculpted for good comfort. And with the spacious cabin appointments, you'll rarely find space at a premium, even for the smaller items. There's a large glovebox, and q console large enough for small handbags and even the larger electronic gadgets. The fold-down armrest in back has its own hidden stowaway space and a pass-through to the 16-cubic-foot trunk that's not huge, but well-shaped for golf bags or suitcases. Over repeat drives, we've found these large luxury sedans to be about as tightly assembled and vaultlike as their predecessors, albeit with a more detailed, delicate look up close. The S Class' interior upholstery and trims are top-notch; we especially like the AMG models' sueded fabric. Take a step up to any of the uplevel trims and you get some of the richest textures and finishes you'll see in a German car: case in point, the lush wood trim applied to the dash, doors, and consoles. Ride quality is about the best in this class as well. Whether you get the active suspension system or the base air suspension, the S Class will soak up even the roughest washboard surfaces or potholed city streets without ever feeling floaty. The S Class wows with its safety technology, even though there aren't any crash-test scores in. It's not surprising that neither the Insurance Institute for Highway Safety (IIHS) nor the National Highway Traffic Safety Administration (NHTSA) has crash-tested the 2013 Mercedes S Class. But with a long-established reputation for occupant safety and advanced safety features--and one of the models, globally, with an extremely low fatality rate--there's no reason to think of the S Class as any less than a safety standout. All versions sold in the U.S. come with dual front, front side and rear side airbags, and curtain airbags; anti-lock brakes, stability and traction control; active head restraints; adaptive brake lights; and PRE-SAFE, which prepares the car when an accident is imminent, by locking doors and tightening seatbelts, and preparing the brakes for full application. Cars with the ABC suspension include programming to help the S Class compensate for heavy crosswinds by adjusting suspension stiffness. Advances to the S Class' stability control now include torque-vector braking, which applies braking to the inside rear wheel to tighten cornering; it's standard on all models except the S 400 Hybrid. Attention Assist, an alert system that senses drowsy drivers and blinks a coffee-cup icon to suggest a rest stop, is standard on all but the S 400 Hybrid. Other available features include Nightview Assist PLUS, a night-vision system that uses infrared sensors to call out unseen obstacles on dark roads; Lane Keeping Assist, which uses electric power steering to nudge the car back into the driving lane when it senses a slip over the lines; blind-spot monitors; automatic headlights; and adaptive cruise control. The S Class can also be fitting with parking assist, which judges parallel-parking spots and suggests ones in which the car will fit. Outward visibility is quite good for the S Class sedans. Front and rear parking sensors, as well as an available rearview camera further improve parking safety. With increased standard equipment for 2013, the S Class will give feature-fickle luxury shoppers what they want. While the current S Class has been on the market for more than seven years, that doesn't mean it's lacking for the latest infotainment, connectivity, and active-safety features. In fact, Mercedes-Benz has kept it well-updated, with further standard features added to some of the models for 2013. All U.S. S Class models come with a raft of standard features including leather upholstery; dual power front seats; power locks, windows, and mirrors; a sunroof; a power tilt/telescoping steering wheel; an AM/FM/CD/HD/XM audio system with USB and Bluetooth connectivity and an SD card slot. A hard-drive navigation system is standard as well, and it includes Zagat travel information plus 4GB of space dedicated to music storage. For 2013, Mercedes-Benz has added active multi-contour front seats, Keyless Go, parking guidance, and a rearview camera to all S Class models. And from the S550 on up, the S Class includes even plusher acoutrements, like a wood and leather steering wheel; ambient lighting; and a power trunk lid. Other features offered on various models include a heated steering wheel; a panoramic sunroof; and a power rear sunshade. To tap into the potential of the S Class' infotainment system you must use COMAND, a not always intuitive interface that uses a knob controller, voice commands, or steering-wheel controls to run phone, audio, navigation, climate, and other ancillary features. It displays on the center stack's LCD screen, and also on a smaller LCD pane on the gauges, where an available Night Vision system also shows obstacles detected in the dark. Just last year, Mercedes-Benz added a split-view screen view that layers images on the center display, so that drivers can observe navigation, for example--while passengers see a movie or audio information, simply by virtue of the viewing angle. One thing that we're not so fond of is that in an effort to reduce the number of buttons, COMAND requires that you go into screen-based submenus to access some features, like the multi-contour seats. AMG models still gulp fuel at rapid rates, but diesel and hybrid models are legitimate green-luxury contenders. Fuel economy of some of the 2012 Mercedes-Benz S Class models borders on dismal, yet for at least a couple of the models, this flagship luxury sedan can be a relatively green pick. At the top of the model line, the performance-oriented AMG models are serious guzzlers. Even though the S 63 AMG fares best; its twin-turbo 5.5-liter V-8 managed EPA ratings of just 15/23 mpg. The twin-turbo V-12 cars are on another planet entirely, probably more due to their outdated five-speed automatic transmissions than anything: The S 600 and the S 63 AMG are both listed at just 12/19 mpg. The greenest editions are the turbodiesel S 350 BlueTEC and S 400 Hybrid. The diesel edition, a new powertrain for U.S. buyers in this generation of S Class this year, offers up EPA ratings of 21/31 mpg, the highest highway ratings of the entire lineup. 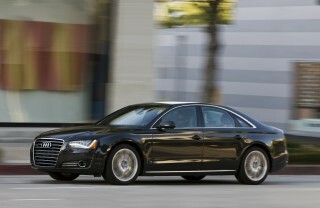 Not far behind is the S 400 Hybrid, with its lithium-ion battery pack and V-6 gas engine pairing; it's rated at 19/25 mpg. The new twin-turbo, 4.6-liter V-8 engine available in the mainstream, executive-edition S 550 achieves excellent fuel economy, considering the size of the S Class. Officially rated at 15/25 mpg in the rear-drive S 550 and at 15/24 mpg in the S 550 with all-wheel drive, it's capable of more. We've clocked an indicated 25.5 mpg on a 300-mile interstate trip where speeds averaged nearly 80 mph. On the bright side, the S Class models do score pretty well for smog-forming emissions; the S 65 earns a 6 out of 10 on the EPA Air Pollution Score.